We offer substantial discounts on bulk wholesale deer scents. The larger your deer scents order, the more you save. Also, we offer free standard shipping with all our 2 oz, 4 oz, quart, and gallon orders. For more information on becoming a wholesale buyer please contact us. 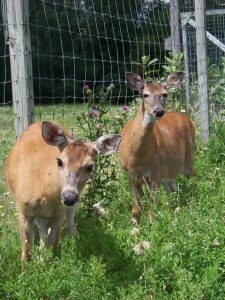 Place your order with confidence, as we have been testing for Chronic Wasting Disease for over ten years now and our herd is Chronic Wasting Disease (CWD) Free.